First off, we apologize on the tardiness of this post. We didn't even realize it was 2018 until we looked at a calendar and saw it was almost Valentines Day. Such is life. Over the course of 2017, we crowd-sourced the Everett people to find who was the best of the best. Best Thai? We've got that. Best Fitness Spot? We got that too. To help jog your memory, here is a rundown of all of 2017's hard-earned winners, voted on by you: the lovely Live in Everett community. From what we can tell, these guys know how to workout with all the bells and whistles. They offer a variety of different fitness options, including a 25 yard pool and well-kept tennis courts. Stay a while and get a massage after a heavy workout, or grab a bite to eat in their cafe. One of their monstrous cinnamon rolls. In case you didn't guess, we're kind of fans of theirs. Not only do they serve up some awesome cinnamon rolls, but they have a great dessert menu filled with strawberry shortcake, fresh pies, and German chocolate cake (just to name a few). 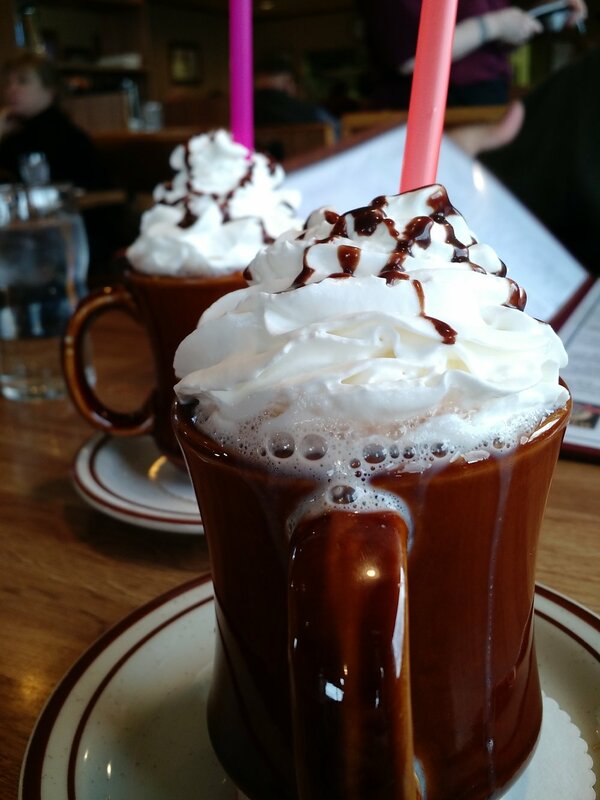 Breakfast isn't complete without some diner style hot chocolate. A downtown staple, El Paraiso is consistently delicious. When you walk in the front door, there's a sweet lady that makes hot and fresh tortilla's. They also have Crazy Mondays in the bar: $1 tacos and beer! Everett loves this place a lot, as seen by the 100+ votes cast by Everett's loyal following. With a grandiose menu boasting of hot and cold sandwiches, you can't really go wrong with any choice on their menu. As long as it's slathered with BBQ sauce and accompanied by a good slaw, anything can be BBQ, right? Pop-up gone brick-and-mortar shop strikes again in their 2nd EVVY Award! Tiffany nails! All the bling! Rhinestones aren't just for enhancements! This place in Live is Everett's personal favorite, so we are so thrilled that the community loves 'em too. Swanky seating, great service, and killer food that leaves you wanting more. Next time you're in, try the crab wontons with pineapple sauce. You won't be disappointed. One of Everett's nicer restaurants, Terracotta Red is one of Live in Everett's favorite places to go for delicious Asian cuisine. Not too long ago we did a video about 'em, and we were not disappointed. That's all folks! Remeber to vote every month when the new category is announced! Speaking of voting, vote now for Everett's Best Real Estate Office!